A 22-year-old man has been served with an arrest warrant for the murder of rapper XXXTentacion. 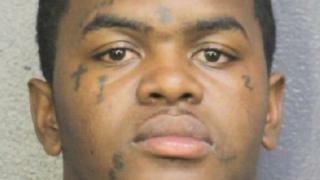 Michael Boatwright was arrested on a drug charge on 5 July, and was later issued with the warrant on 10 July. Detectives at the Broward County Sheriff’s Office in Florida say they are still looking for a second gunman. 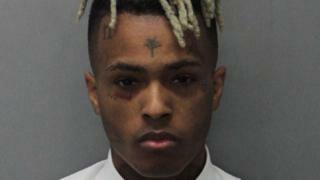 The 20-year-old rapper, real name Jahseh Onfroy, was shot on 18 June in Florida and died in hospital. He was visiting a motorcycle shop and left in broad daylight when he was approached by two men. Both were masked and armed, and “demanded property” from XXXTentacion according to Detective John Cucio. Investigators say Mr Boatwright had been detained in jail since his earlier arrest on unrelated drug charges. He was served with the additional warrant for first degree murder on Tuesday. The latest arrest comes after another suspect, Dedrick D. Williams, 22, was arrested and charged with first degree murder on 20 June. He has been denied bail. Mr Williams was arrested following posts on his Instagram feed showed him wearing “the same or similar bright orange sandals” as those seen in the footage, official court documents say. The sheriff’s office also recently identified another person of interest in connection with the killing: 22-year-old Robert Allen, who was seen on the motorcycle shop CCTV footage.